7630 Fairfield Woods Court has a Walk Score of 49 out of 100. This location is a Car-Dependent neighborhood so most errands require a car. 7630 Fairfield Woods Court is a 23 minute walk from the Fredericksburg Line at the Lorton stop. This location is in Lorton. 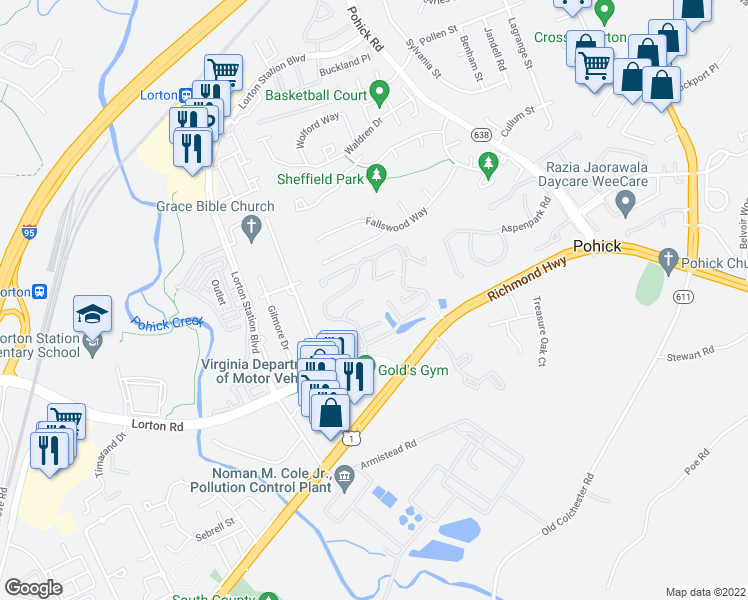 The closest park is Pohick Estates Park. Explore how far you can travel by car, bus, bike and foot from 7630 Fairfield Woods Court. 7630 Fairfield Woods Court has some transit which means a few nearby public transportation options. This location is in the city of Lorton, VA. Lorton has an average Walk Score of 26 and has 18,610 residents.